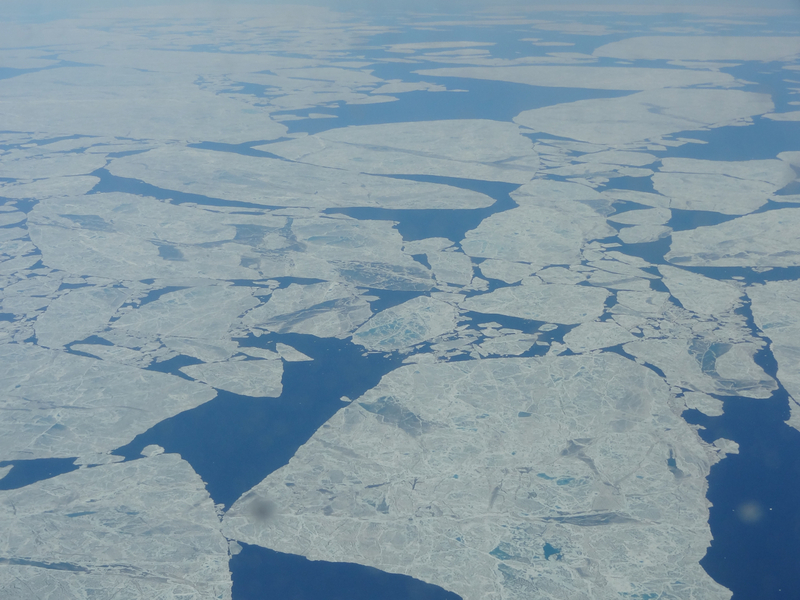 In the year 2012, the extent of artic sea ice was in the lowest level ever recorded. That summer I collected samples of melting permafrost soils at different locations in Alaska to study rates of carbon emission. On July 21st, the longest day of the year, I flew back from Alaska to Germany over the Arctic Ocean and witnessed the scale of ice melt. It melts in irregular patterns; starting with small melting ponds that grow in extent forming wedges of different sizes.